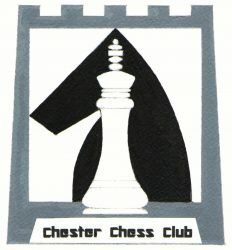 The League Individual Championship was this year held on the 1st and 2nd Of December at the Town Crier in Chester. This year’s Open Section was appreciably stronger than last years competition, with 6 players entered being rated over 170. As has already been noted by Phil in the previous post to this the final round results left 3 players tied for first place. The round-robin blitz play-off for the title was won in convincing fashion by our Club President Phil Crocker and thus he gained the title of Chester and District League Individual Champion for the 2018/2019 season.